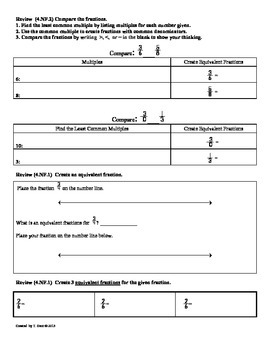 You are purchasing Common Core math practice sheets aligned to assessment tasks. There is a practice sheet for every day of the week and a test for Friday. 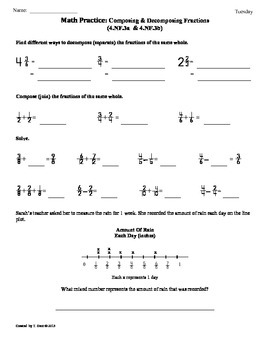 The attachment consists of 10 daily math worksheets designed to reinforce math skills during the 2nd 9 weeks of school. There are two sheets for each day that can be copied front and back to save paper. The front sheet focuses on the weekly target skill and the back side of the sheet is a review of previously taught skills. 4.NF.3 a. 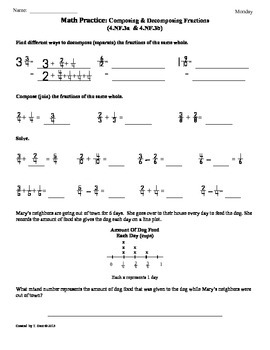 Understand addition and subtraction of fractions as joining and separating parts referring to the same whole. 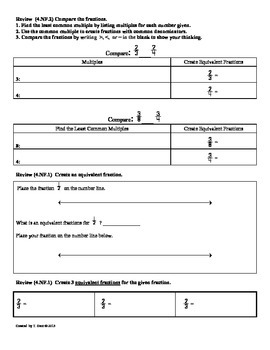 4.NF.3 b. Decompose a fraction into a sum of fractions with the same denominator in more than one way, recording each decomposition by an equation. decompose fractions and mixed numbers into a sum of fractions. The last two sheets in the set are designed to be an assessment and are aligned to the other practice sheets in the set. Each purchase is for 1 license. 1 license = 1 teacher & classroom use. You do not have permission to post my products on any public website. I only give you permission to post on private networks if the appropriate number of licenses have been purchased.